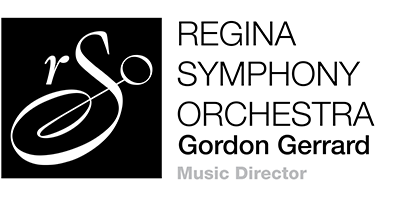 The Regina Symphony Orchestra (RSO) is Saskatchewan’s largest professional orchestra with a 39-week season. Led by Music Director Gordon Gerrard, the season includes the annual Symphony Under the Sky outdoor concert, eight Masterworks concerts, five Pops concerts, three kids concerts, six chamber music concerts, and occasional special concerts including perennial favourite Handel’s Messiah. As well, the Regina Symphony Chamber Players (RSCP) performs in multiple southern Saskatchewan communities each season, presents dozens of school concerts each year, and offers free concerts in venues throughout the City of Regina. They also take part in 14 educational and outreach programs for students and community members. The RSO plays an important role in the cultural fabric of southern Saskatchewan. By continuing to strive for excellence in performance and by remaining relevant to its audiences, the orchestra will continue to grow and to enrich life in southern Saskatchewan. Laura Pettigrew’s contributions in the Prairie provinces are well known and appreciated, but her influence and achievement have now expanded to all over the world. It is perhaps her love of sharing that sets her apart. 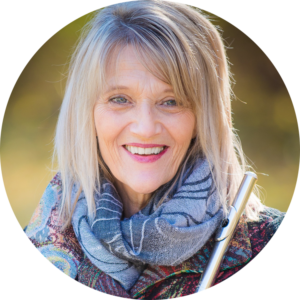 She has participated in and continues to seek artist residencies internationally, her passion for history and world culture inspiring her to study the techniques of ethnic instruments and styles so as to make her work more authentic. With her works having received world premières by GRAMMY® Award–winning I Solisti Veneti (Italy), Regina Symphony Orchestra (Canada), Massive Brass Attack (Portugal), Nicole Gi Li and Corey Hamm (Piano Erhu Project or PEP), and Foothills Brass (Canada), among others, and featured on recordings by national and international soloists and ensembles as well as in the international award-winning short film, The Sky Came Down, Laura Pettigrew is making her mark on the world stage. Her music has been praised as “spectacular, breathtaking, inspirational” (Reel Rave International Film Festival 2013); “sublime with a style reminiscent of the television show Game of Thrones…patrons were drawn in by the composition…simply put it was awesome” (Regina Leader Post); and “Bellissimo” (LA9 SAT Television Station, Padua, Italy). Dòchas: translated, means “hope” in Scottish Gaelic and is pronounced “dohchus”, with the “ch” sounding like the “ch” in Scottish “loch” and the “ò” an extended “oh”. I chose the title based, in part, on my ancestral roots (Scottish, Irish, English, German, French, and so many more) and to express what all immigrants coming to a new country have, that being hope—for peace, for kindness, for the opportunity to build a life for their families, and hope for the future. Given the current global unrest and turmoil, with a large percentage of the world’s population facing uncertainty, financial instability, homelessness, war, death, destruction, and literal hopelessness and despair, I felt it was important through my work to musically and emotionally portray and express hope, that to move forward, to exist, to believe, we must have hope(! ), which my ancestors had when they immigrated to Canada over 150 years ago. 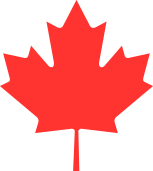 Born and raised in Canada, a proud Canadian, a descendant of immigrants, I represent the fifth generation of Pettigrews.